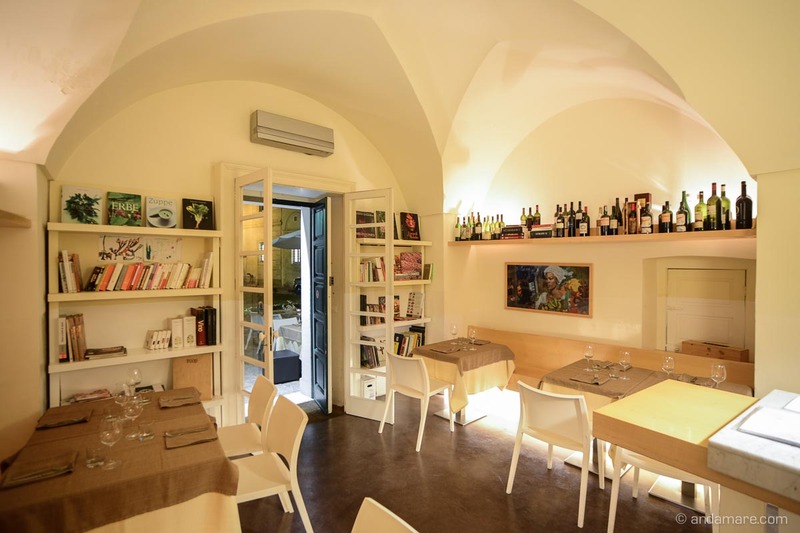 Il Corte dei Pandolfi, a very nice, slightly hidden restaurant. 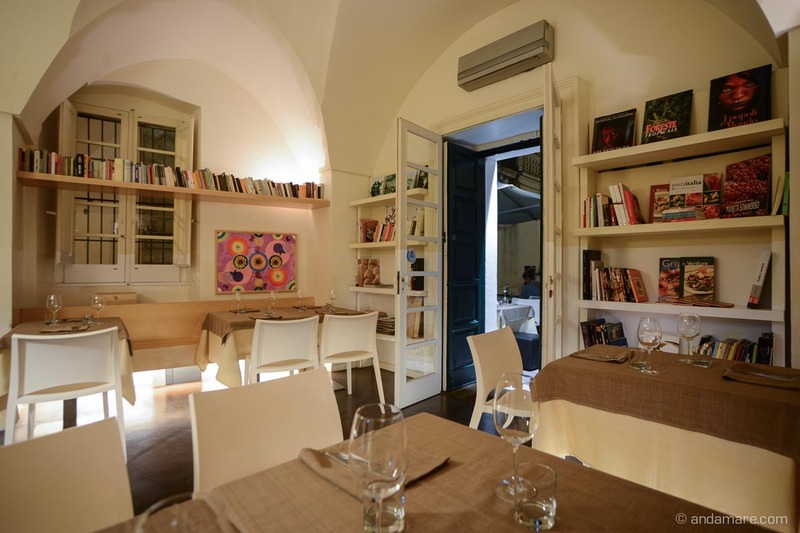 We enjoyed the atmosphere and the selection of not only good food, but also books, yep books. 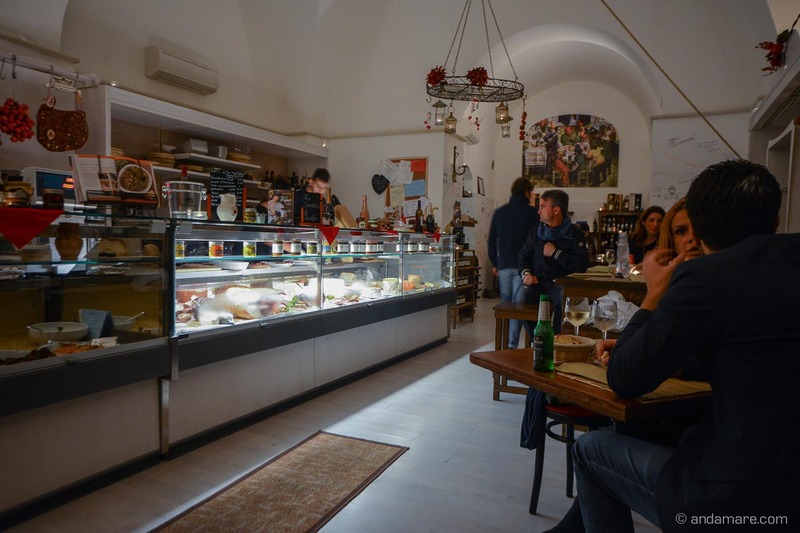 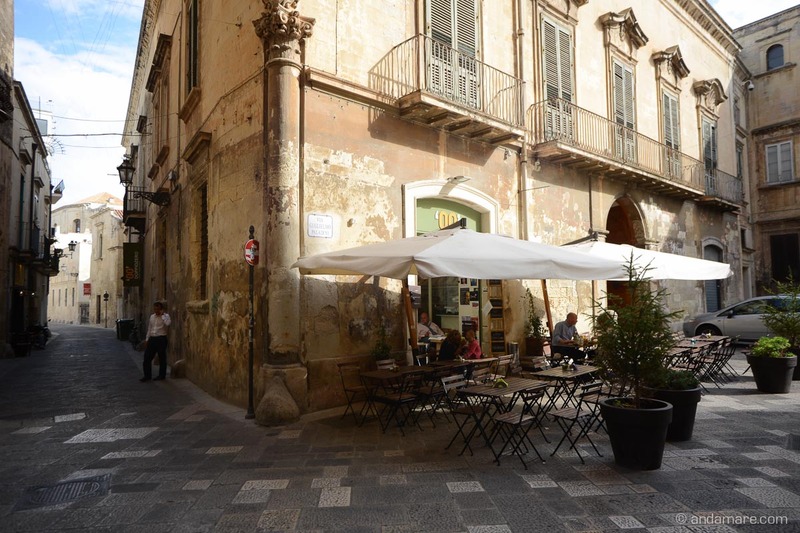 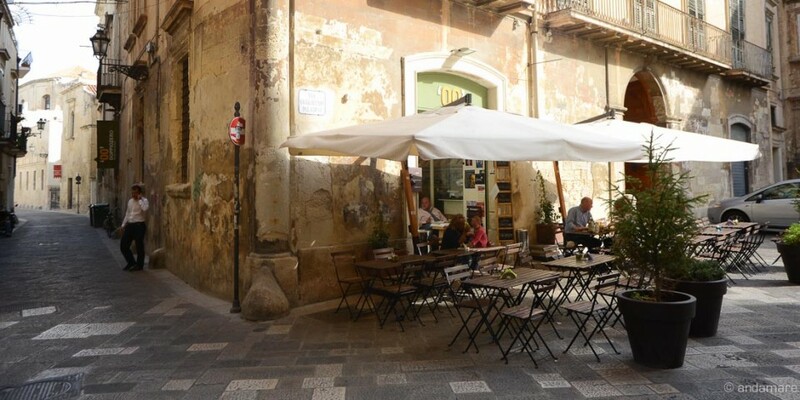 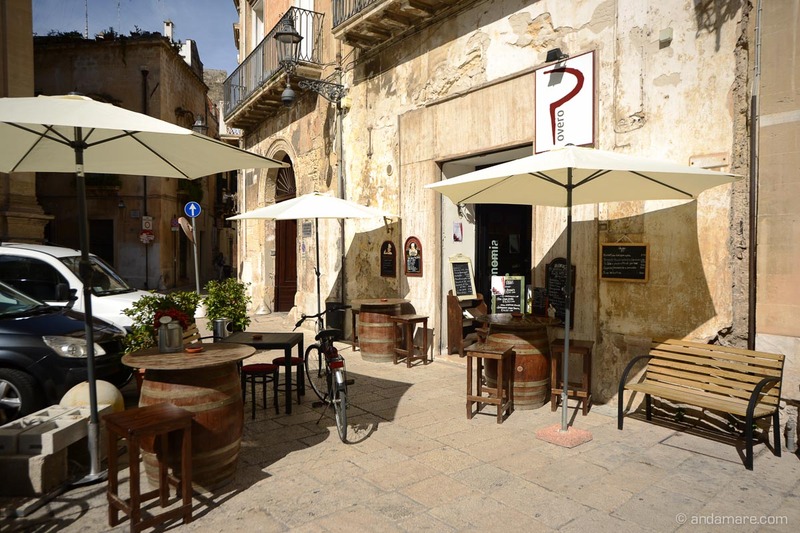 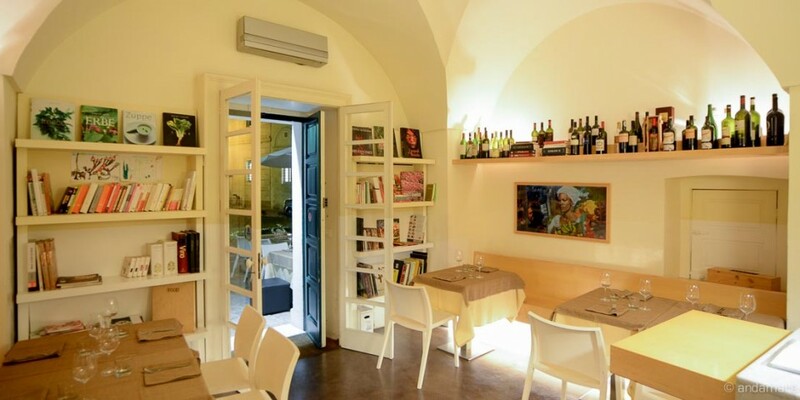 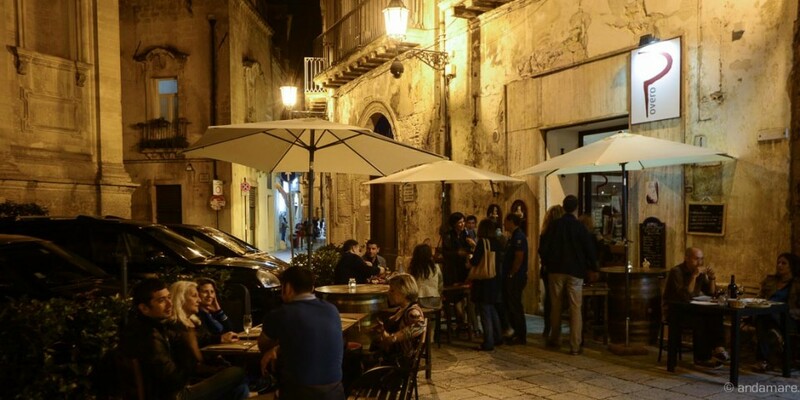 They call themselves Cucina-Enoteca-Libreria It is a small restaurant offereing fanciful and fondly composed dishes, accompanied by delicious regional wines. 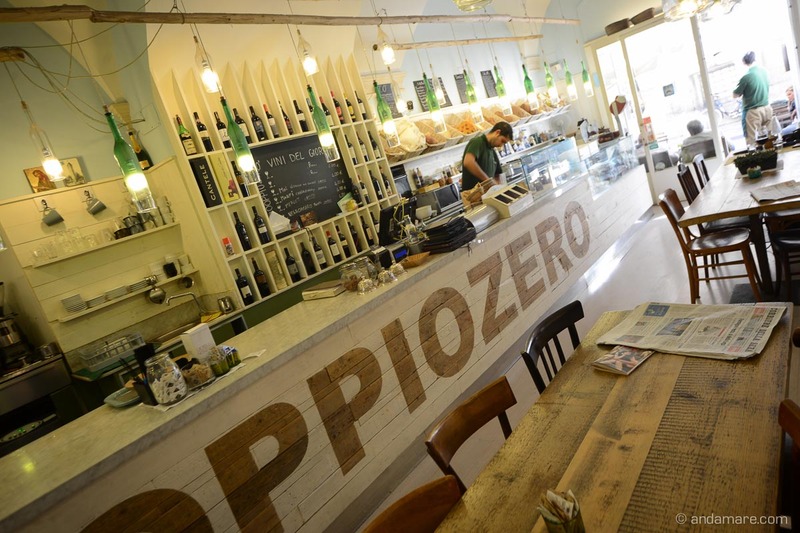 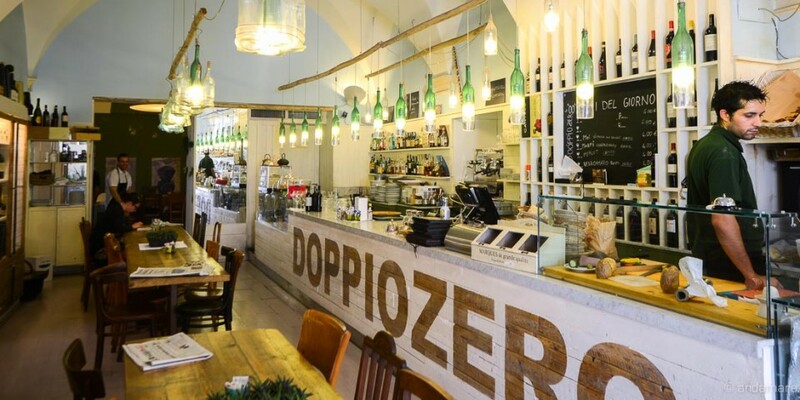 Il Doppiozero as well as la Enogastronomia Povero follow a different gastronomic concept: They appear like italian delis with a couple of tables. 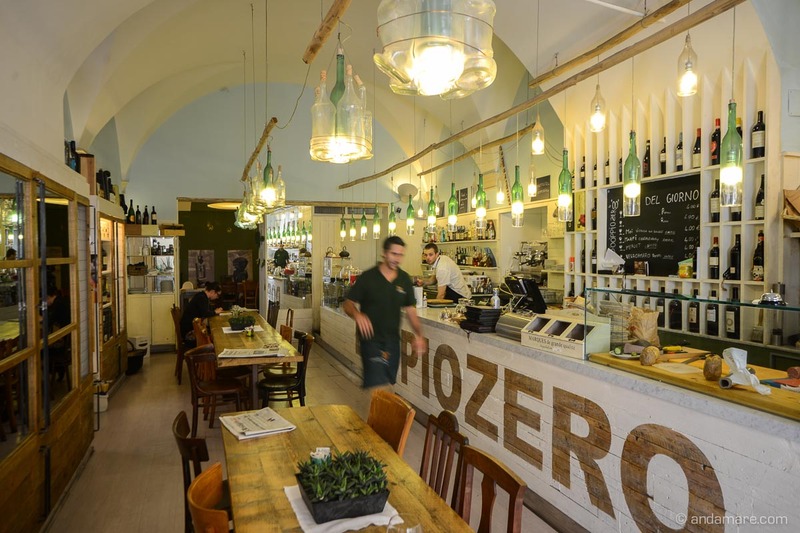 It is a very nice concept. 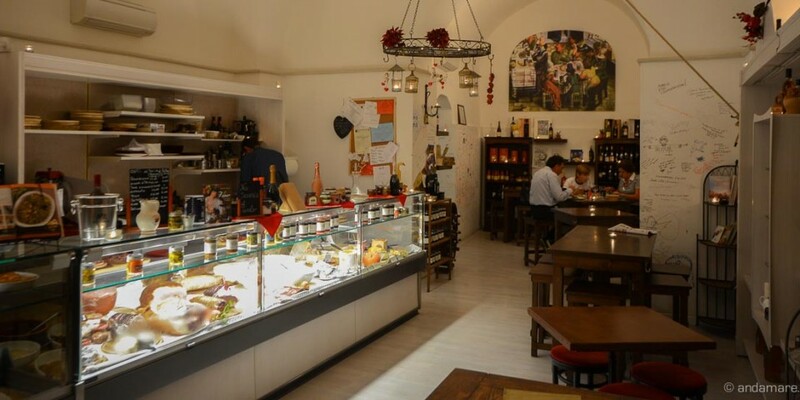 They offer all sorts of assorted cold cuts, cheese, salads and breads. 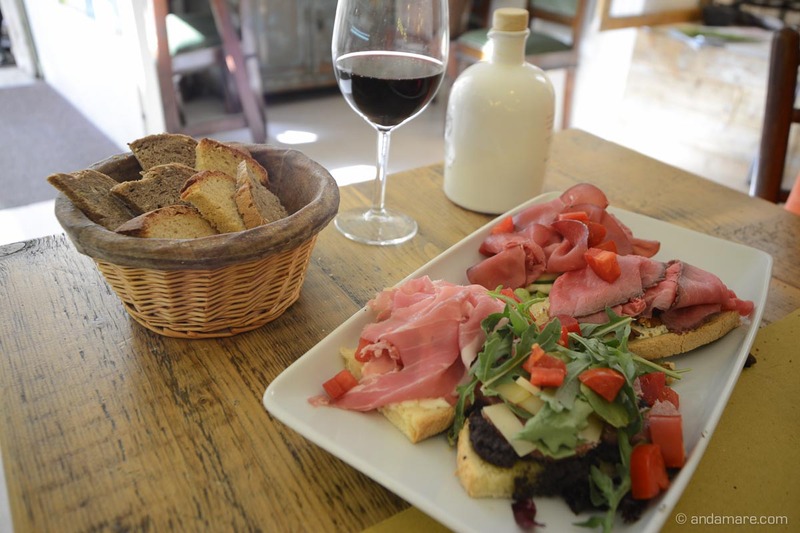 You can taste bruschetta as well as chocolate cake, cafe as well as wine, all based loosley on your taste, appetite and hunger. 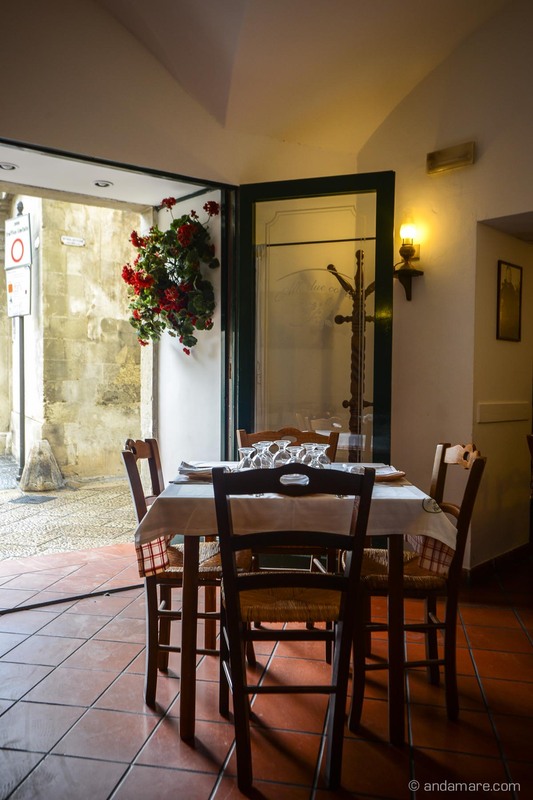 Whereas the Alle due Corti is traditional and almost old fashion. 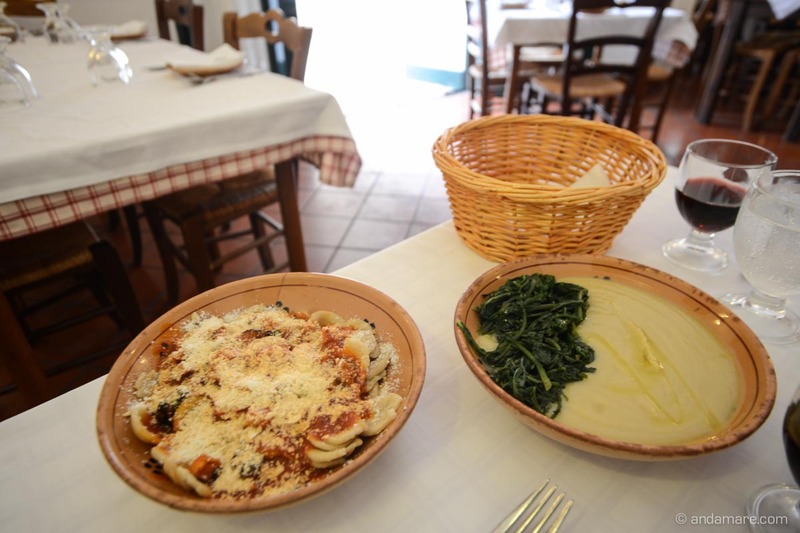 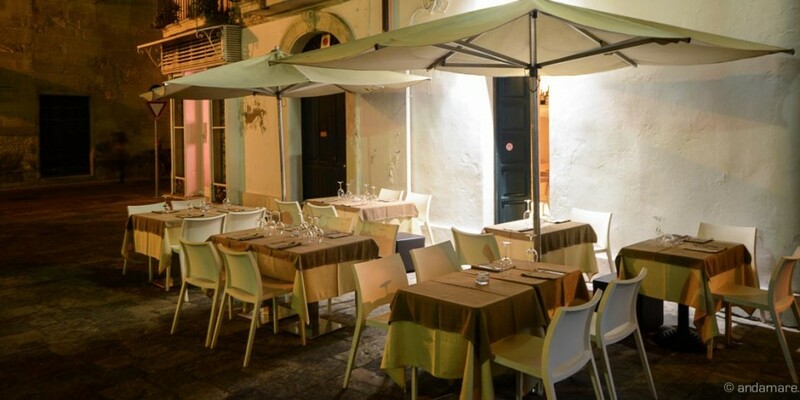 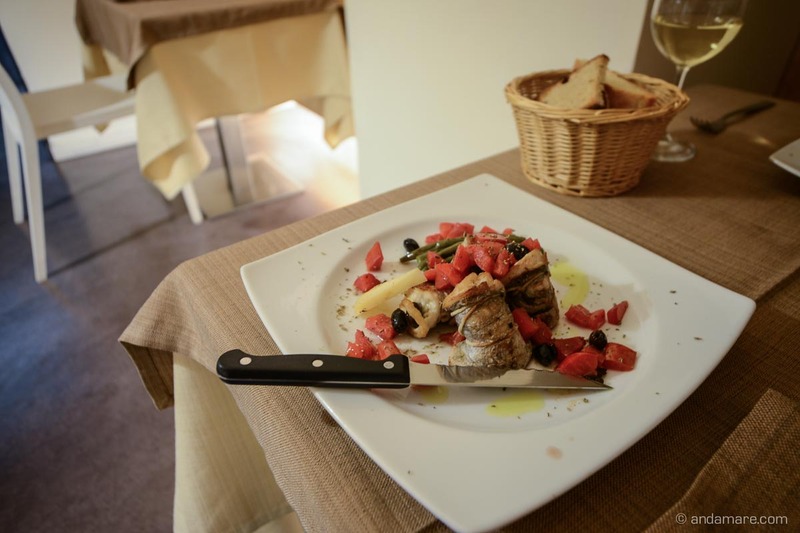 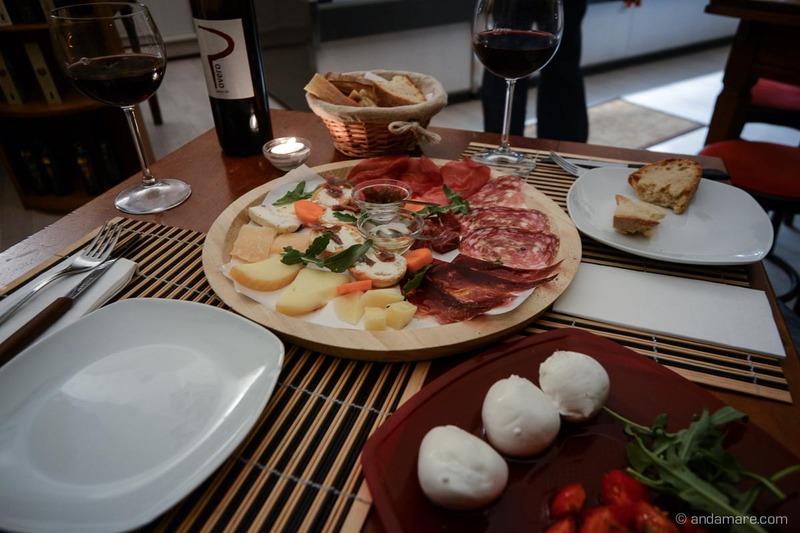 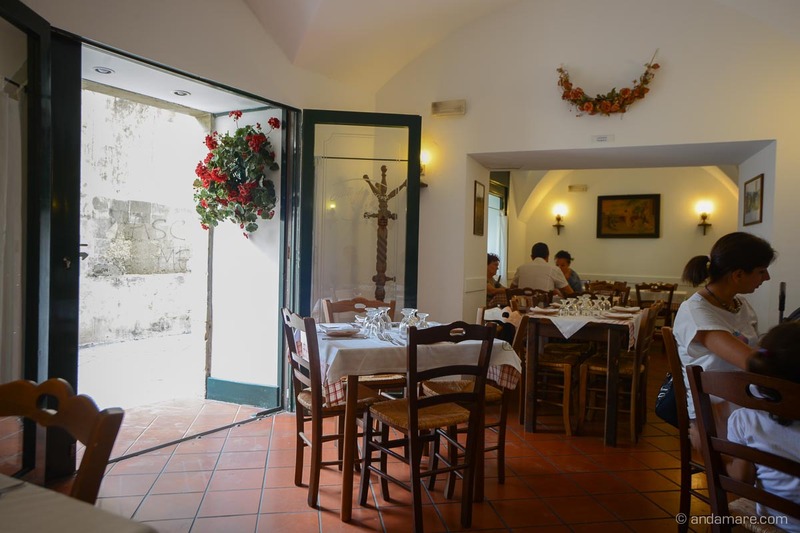 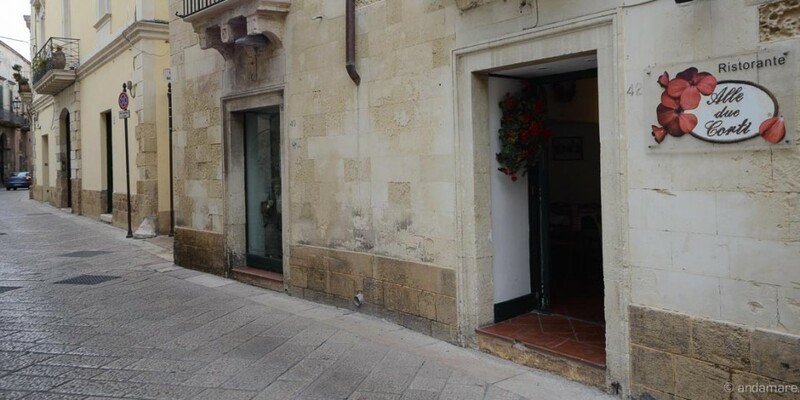 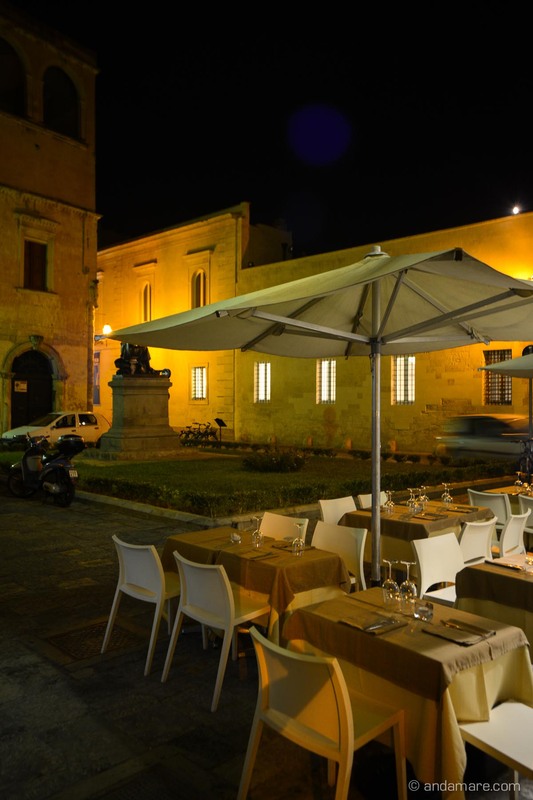 A typical restaurant from Apulia, offering refined products from the Salento. 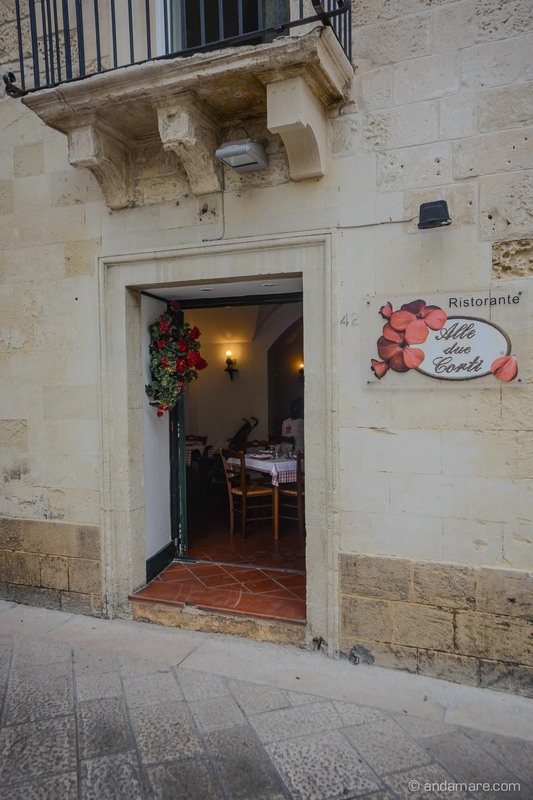 The chef, la maestra Rosalba de Carlo is not only a champion in italian cooking but also an ambassador of the local culinary tradition and culture at the university of Salento. 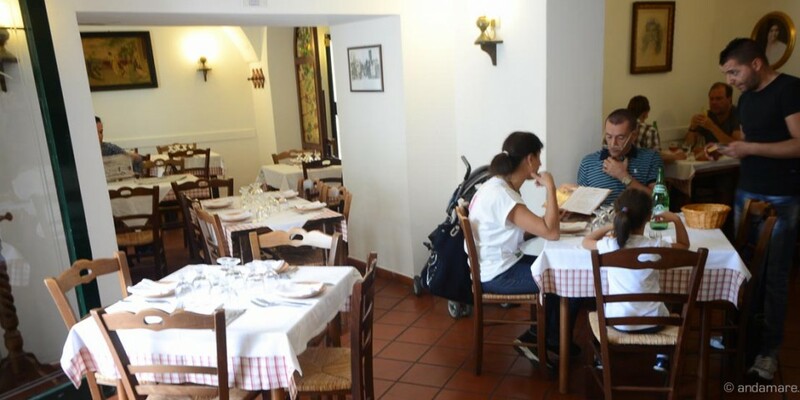 Again, one of those places where you simply feel at home.